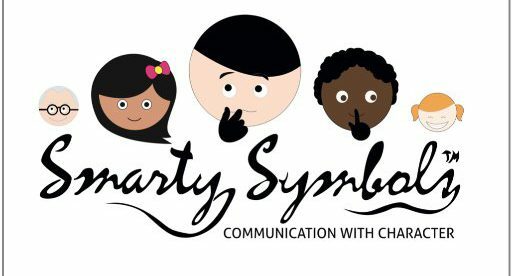 This is a sponsored blog post, which means that SmartySymbols is offering a free personal use membership to a reader of this blog in exchange for this review. The opinions expressed in this review are those of Sarah Wu and do not reflect another person’s opinion or feelings. I confess: I love clip art. But most of the clip art available online doesn’t help me as a speech pathologist. It’s either low quality, too “cutesie,” or it doesn’t help me teach a child functional communication. I used to use Boardmaker, but I found the software challenging to use — how often I clicked something wrong and got my images mixed up. The search function on Boardmaker was wonky and I thought the grids were inflexible. I always felt like it took me twice as long to get something done than it should have. Here’s where Smarty Symbols comes in handy! Smarty Symbols has images for every communication function and situation — and they are organized into categories to easily locate what you need. Not only are templates available to use with their images, but when you become a member, you can download the images directly to your computer to manipulate them yourself. I like that Smarty Symbols incorporates a diverse cast of boys and girls, as well as an older man. Also Smarty Symbols are high quality and not cutesie. Looks Like Language’s File Folder Sentence Activities for Autism – Playground! Smarty Symbols look so great! OMG I would love to get Smarty Symbols! You will enjoy having the video and questions. I did a version of this with my grandmother before she passed. Great memories. Thanks for the opportunity to win the subscription! I have been wanting a membership for a long while now. I’d love to win! I love the diversity Smarty Symbols offers! It also seems very user friendly! Thanks for sharing! I have never seen Smarty Symbols but would be excited to try it! Currently we are using Symbol Stix and while it has a great catalog of vocabulary to work with, is very in flexible in how it can be used. Thanks for the opportunity! There seems to be so much more to Smarty Symbols than other symbol programs. Thanks for the chance to win! Looking forward to the opportunity to win and try Smarty Symbols – thanks! I always thought there was something wrong with me since I didn’t LOVE Boardmaker the way everyone else does. I wil always be grateful for them opening the door and paving the way, but I’m looking for something new. I would love this for my preschoolers. I am constantly searching for pictures that are just right. I use Smarty Symbols almost every day. Great product! What a wonderful way to save your family’s memories and pass them down to future generations. I would love a copy of your interview questions. I definitely need to do this! Thanks for the chance to win !! I’ve been putting off buying a subscription but would love to have one. I’d love to be a Smarty Symbols user!! I would love to have access to Smarty Symbols for my clients’ low tech communication systems and for making other visual supports! 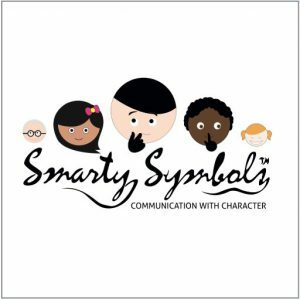 I would love to have a subscription to Smarty Symbols for my communication boards, literacy circle activities and therapy materials. Thank you for the chance to win! I would love to test drive Smarty Symbols. I’m kinda partial to Lessonpix, but I’m willing to give Smarty a try! Would love a subscription to help make more visual cues for all of my students. Would absolutely love this for my all of my pre-k kiddos!! What a great product! Thanks for offering this giveaway! I would love to get the Smarty Symbols prize. It would really help so many of my students!!! This looks great & could benefit so many of my students! I’ve always wanted to try Smarty Symbols! It looks like a great alternative to Boardmaker photos! AAC device more custom and with making visuals ( schedules, social stories). Wow!!! I have been wanting Smarty Symbols for so long! !